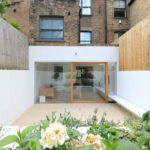 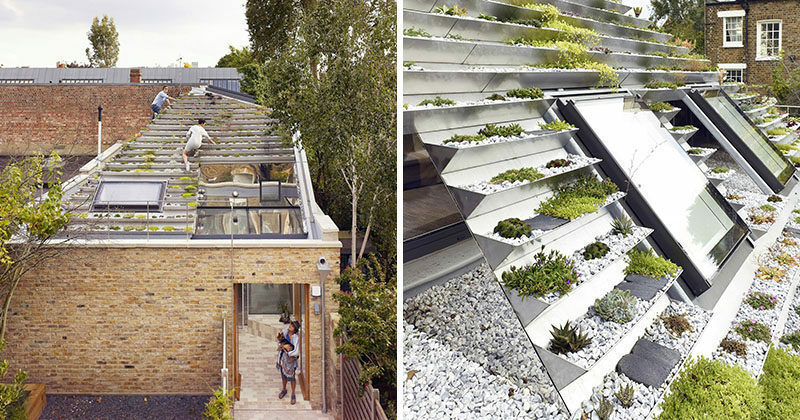 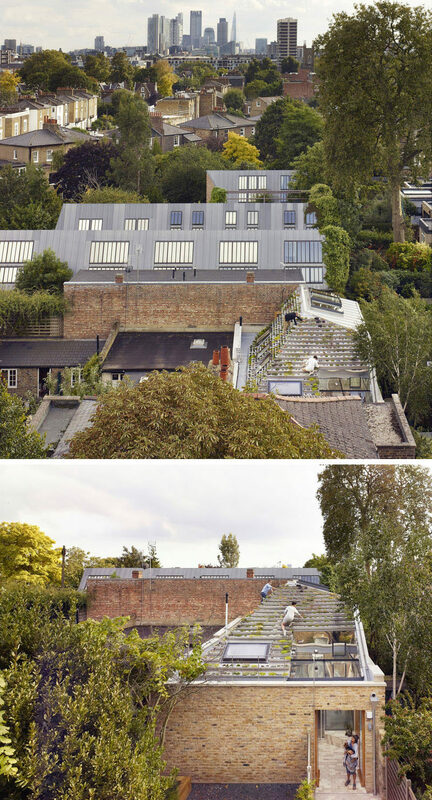 When the owners of this house in London wanted to create a new home and work studio which maximized the space, they turned to Hayhurst and Co.
As part of this new build, a green roof was suggested by Hayhurst and Co., but the clients only wanted to have a green roof that they could actively garden. 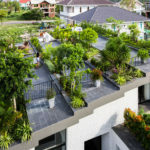 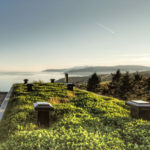 The end result is a green roof that has a series of planter trays installed on the roof, providing level beds in a stepped terrace that can be actively gardened and planted. 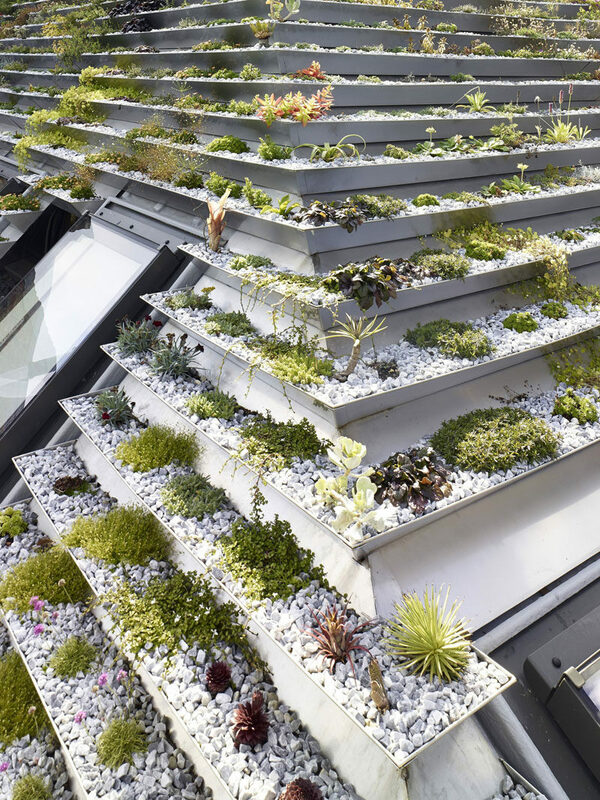 Over 800 plants cover the roof, with each planted by the client. 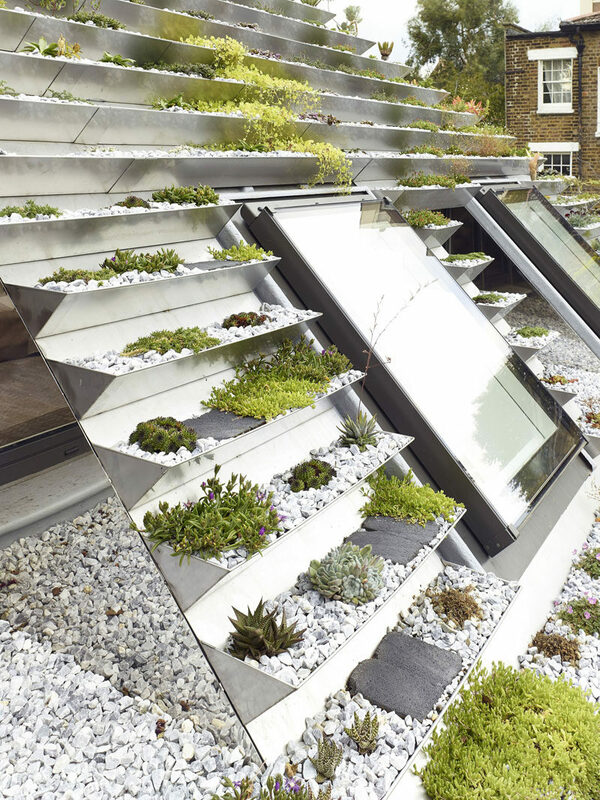 The planters are made from marine-grade stainless steel that incorporate a ribbed geotextile fleece to provide thermal separation from the steel tray and to aid with drainage.